Want to know more about studying AAT courses with Premier Training? Why not join us and the AAT on Thursday 9th November at 6 pm for a free live webinar. The presentation will give you an overview of AAT qualifications, and how to get started. 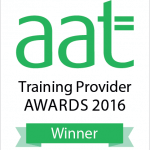 We are delighted to announce that Premier Training have been awarded “Distance Learning Provider 2016” at the AAT Training Providers awards. “Many of our AAT students choose to study via distance learning as this option can often provide a flexible learning environment that can fit in with their lifestyles. 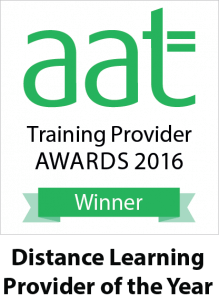 The next category is for Distance Learning Provider for the Year – recognising excellence in AAT training via distance learning. Our winner caught the judges’ attention with their slick interactive resources. They highlighted the increasing importance of social media for their distance learners, something they have embraced by developing their own expansive online community. The judges were also impressed with their tutor-to-student contact, excellent testimonials and formidable pass rates. Thank you to all students and staff for making this amazing achievement possible! We exist to serve the needs of our students – everything we do is driven by the simple philosophy that the student comes first. The life of a distance learning student is typically one where their studies must be balanced with myriad other commitments – work, family, and social life. It can be a lonely pursuit; without the camaraderie of classroom colleagues and the face-to-face support of a lecturer, it can be a daunting prospect to take on a new qualification without a visible support network in place. A common concern from distance learning students is that they feel isolated in their studies as opposed to college classroom study. We feel we have bridged the distance learning gap and that Distance Learning with Premier Training should be more suitably named: “Connected Learning” – as students are always connected to us. 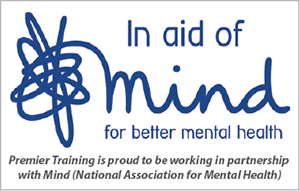 They can speak to a tutor via the learning programme whenever they need to, which would not be possible in a college. We go the extra mile to ensure that our students do not feel like this. Instead of a lecturer available for a snatched 5 minute chat over a hurried lunchtime sandwich, our dedicated tutor team are available 56 hours a week – and if it takes 10 minutes, 20 minutes or an hour to resolve the individual’s concerns then that is what is given to each student. Where a written response is more appropriate, a direct email from the tutor with technical guidance, illustrative examples or additional questions is a positive and helpful strategy. And it isn’t only technical advice; our industry specialist tutors offer advice on career paths…self-employment…professional qualifications…whatever the student needs. We must also include our Course Advisors who provide a smooth recruitment and administrative service for students, and our dedicated Student Mentor who provides practical and pastoral support for students at all levels. The flexibility of MyPTA – the constantly-evolving multi-platform online resource – means that students have access to core materials and additional resources 24 hours a day. 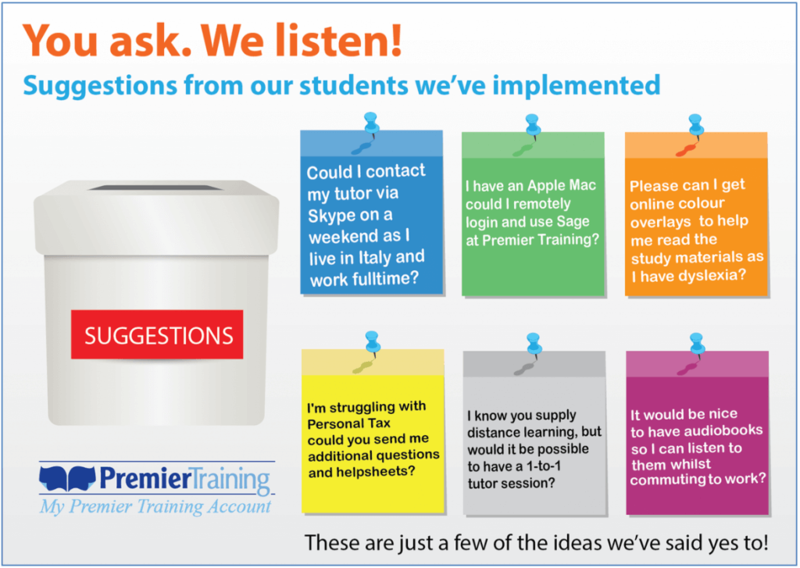 Premier Training is at the forefront of social media with the development and sponsorship of the Accounting Student Network, and its associated Facebook group, which is an online community including students, tutors and industry specialists. Never before has a distance learner felt so supported! It’s good to be different – to stand out from the crowd. Premier Training stands out by offering the most comprehensive distance learning package available. We place great importance in setting our students realistic but challenging targets throughout their training. We offer flexibility in training through our fast-track study programme where a student can demonstrate that this is most appropriate for them. We provide a wide range of materials across all levels, with our team of professional writers developing modern, interactive resources on the MyPTA platform, including e-books, videos and audio-recordings to supplement more traditional materials. 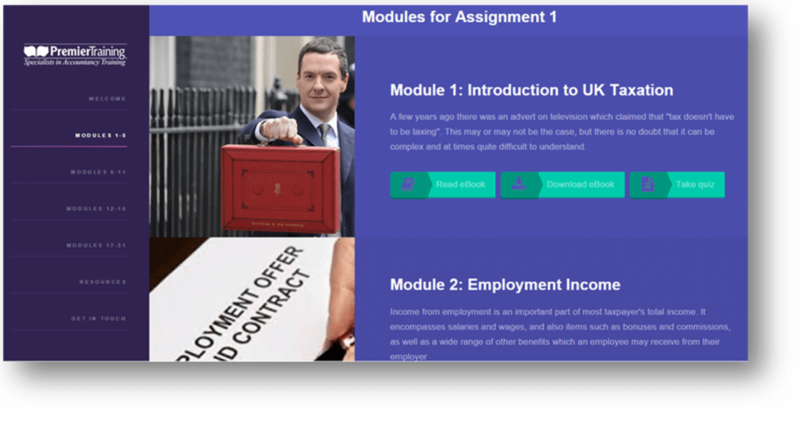 This has reached a new level in 2016 with the launch of our superb new resources for Personal Taxation at Level 4, which look and feel unlike anything else which is currently available – an initiative which is now being developed across all units at Level 4. We also use MyPTA as an effective means of communicating directly with our students, including using it as a flexible and efficient means of collecting feedback. Students benefit from our structured ongoing assessment and feedback process, where every unit studied is supported by three assignments and at least one mock assessment. All these are marked by our specialist tutors, with comprehensive individualised feedback provided within a maximum of three working days. Two specialist tutors work exclusively with our ISYS students, ensuring they receive unmatched one-to-one guidance in this difficult unit. Our dedicated Student Mentor is a Level 4 student herself, and so fully appreciates the student perspective. The implementation of the Accounting Student Network is an exciting and unique development, providing a constantly evolving portal for all students to use. Key elements of this include additional resources, study guidance and support, career advice and a student forum. Over 3,000 students currently use and benefit from this facility. If you’re not with Premier Training, why not come join us and be part of an award winning team!